When it comes to dining room designs, the furniture craves for personalisation. 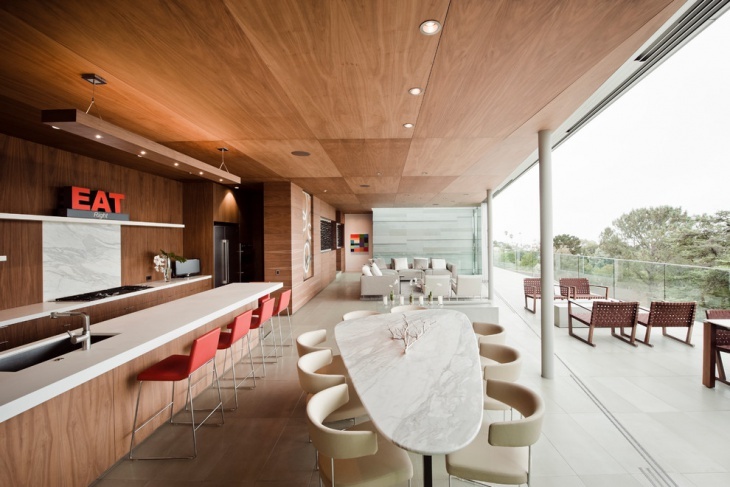 There are different dining room designs, both for interior and exterior settings. 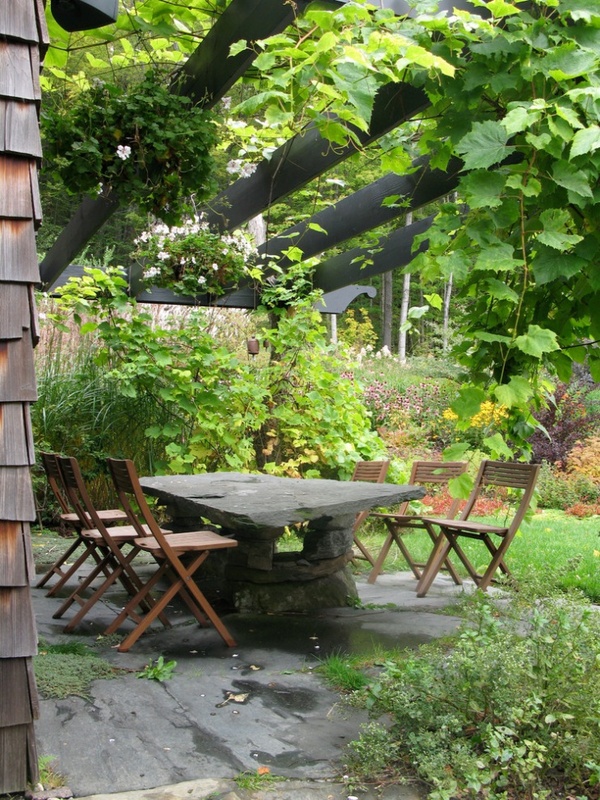 People from all over the world are experimenting with innovative Stone Dining Table designs. These settings are based on their tailored needs and aptitudes. 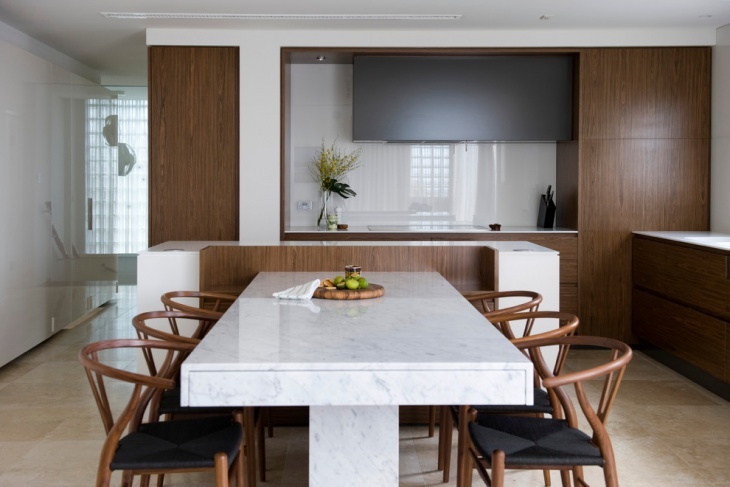 The stone dining tables are available in different textures and shades, and here you will find ten classy stone dining table designs that will live up to your expectations. A spacious dining room with polished dark wood floors gets the right look with a stone dining table with a thick top. The reddish metal colour of the stone table makes a good contrast with the floor and cabinet. 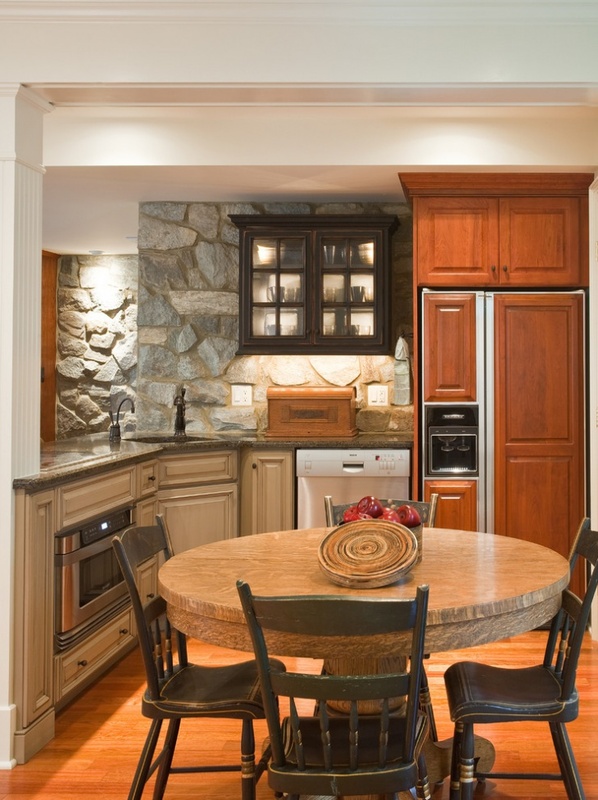 The kitchen cabinet is shaded with a brownish polish and you can opt for a lighter shade for the chairs. 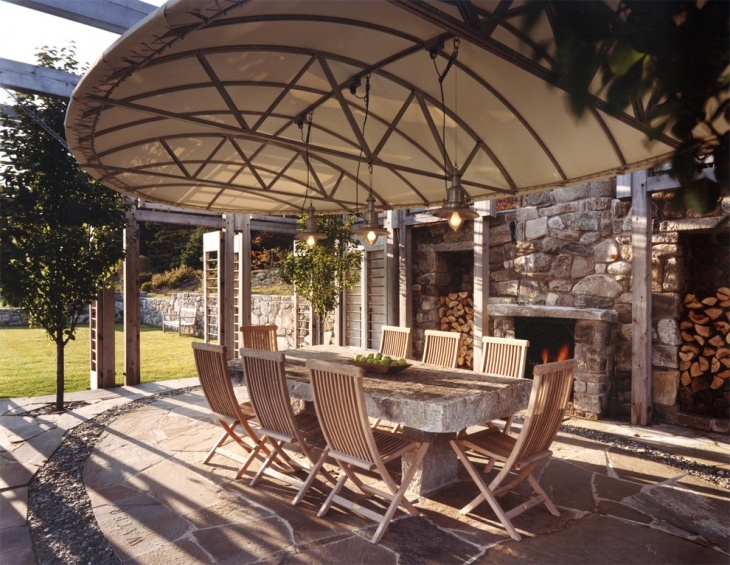 This is a round pedestal dining table that goes well with outdoor kitchen and patios. 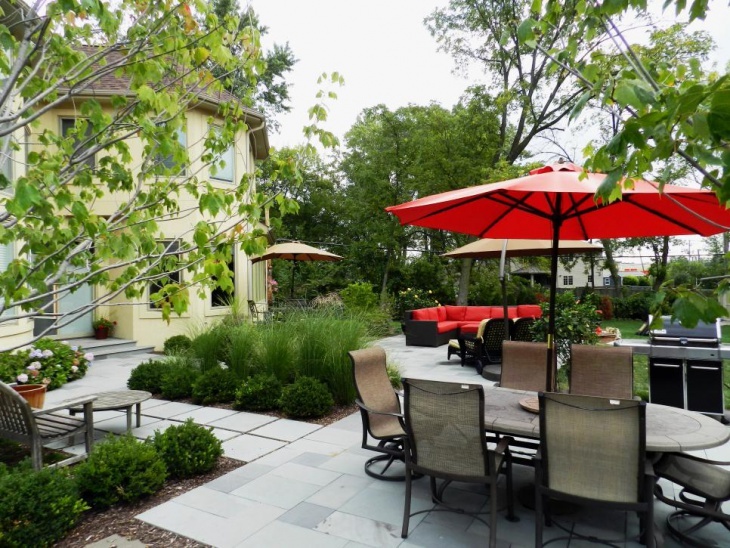 It is white in color with a polished texture and has a good contrast with the black wrought iron chairs. 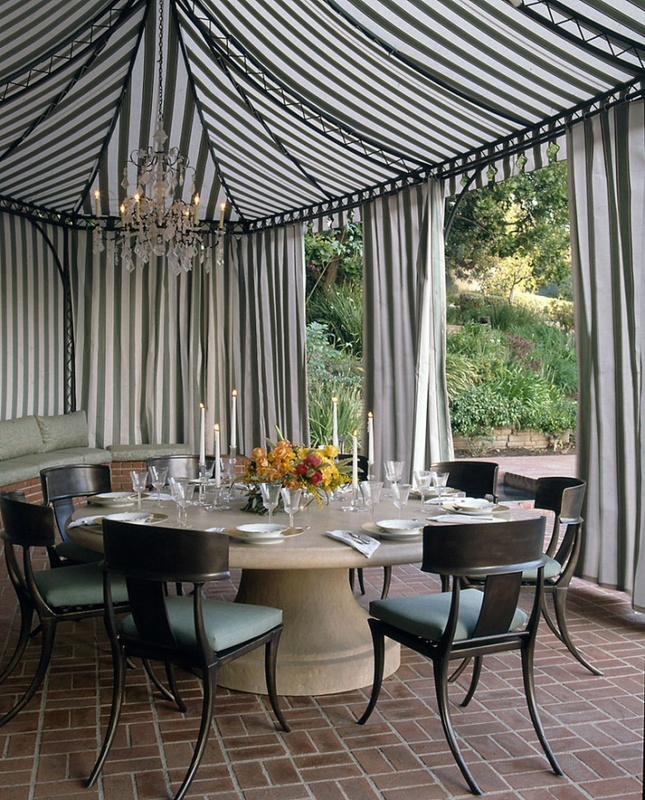 The white cushions of the chairs have a good match with the table and the marble flooring. 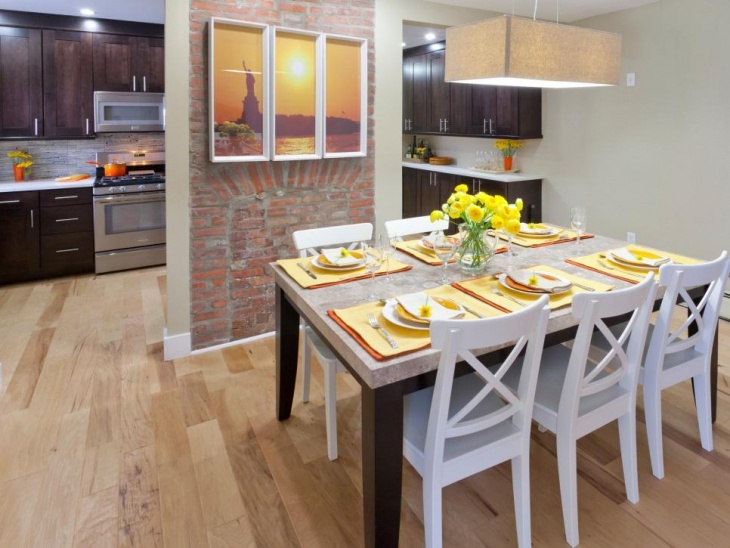 The traditional wood kitchen rooms with a spacious dining area. Enjoy the sleek look of the narrow pedestal dining tables. It is an elegant looking black stone table that resembles polished glass. 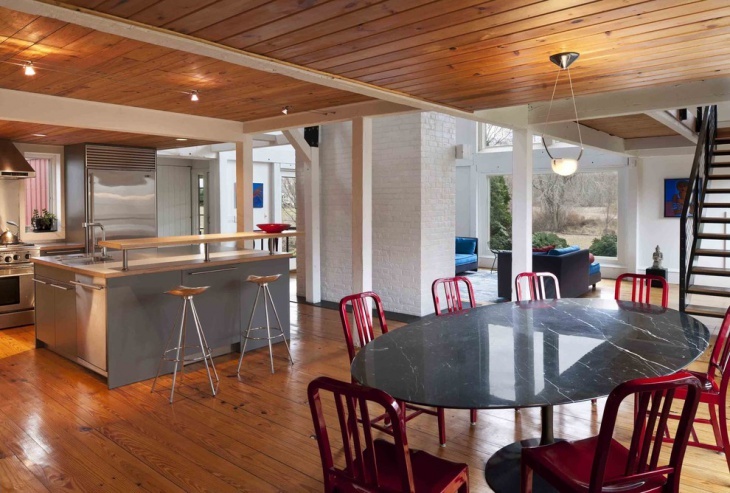 The bright wooden floor and the ceiling look complementary to each other. Arrange dark red chairs around the table. 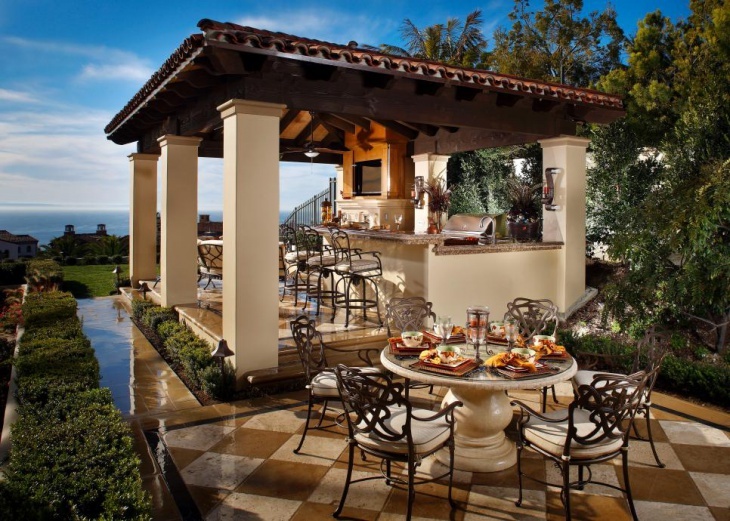 Modern outdoor eating spaces enjoy a classy look with arched stone dining tables. The white tables are elliptical in shape with a smooth stone texture. The ideal furniture for this setting is white chairs with cushioned backrest. It goes well with spaces with one side open and wooden walls on the other. Homes with small dining rooms need these oval stone dining tables, which look compact in the limited space. The round stone table looks compatible to the white-based wall colour and floor. 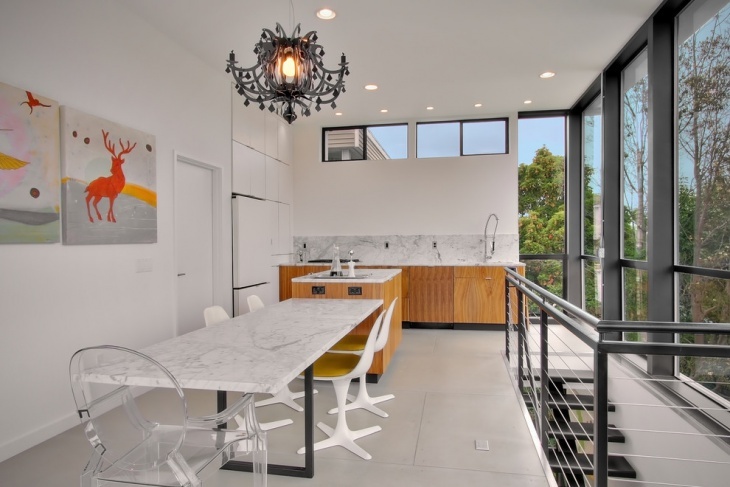 You can get in touch with contrasting black-framed chairs for the setting. 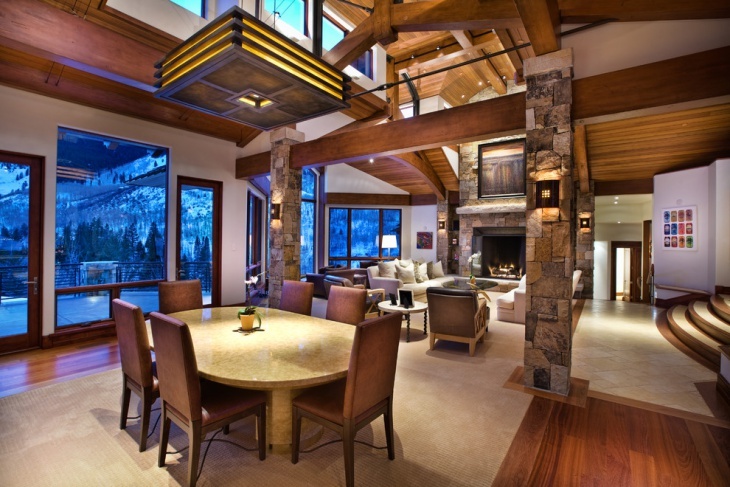 Luxurious dining rooms with large glass panes and need matching dining tables. This is a sleek yet elegant stone dining table, rectangular in shape. It rests on a metal pedestal, and it is a good contrast to the white-themed room. White chairs make the room even more polished. 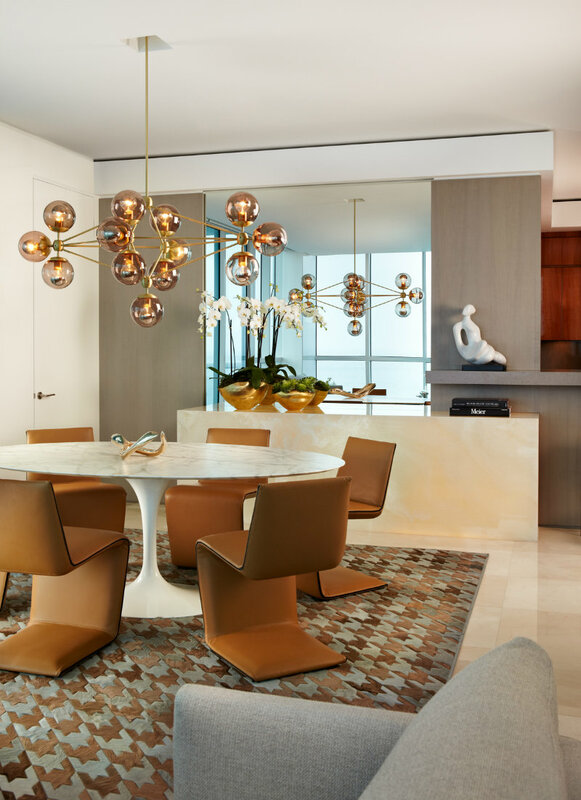 Dining rooms with artistic metallic chandeliers need a small round stone dining table, white in colour, the thin pedestal delivers a sleek look to the setting. Light brown leather chairs around the table make it look fantastic. Get a matching carpet for the room with brown patches. It will be compatible with the chairs. Marble has its inherent beauty, and when the marble dining tables are placed in spacious rooms, it makes the ideal match with the setting. The light wooden floors make the room more gorgeous. 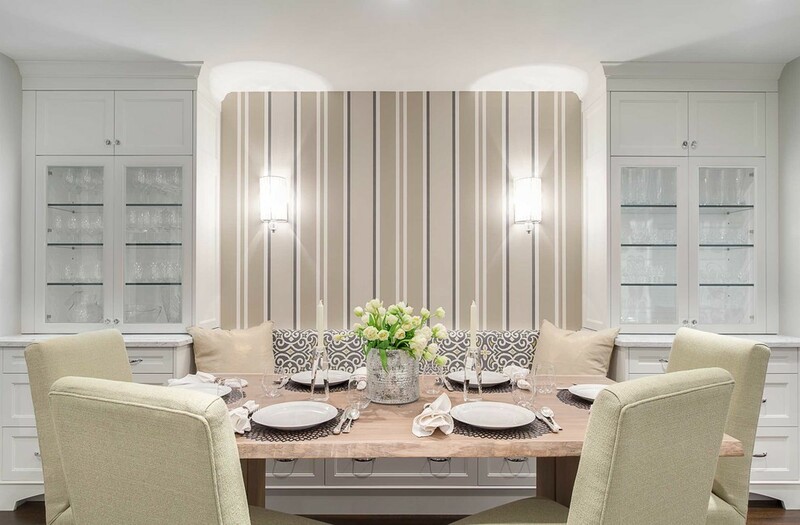 Opt for white chairs with crossed back for the dining set. The Stone Dining Table designs are incorporated in most of the luxurious homes nowadays to create a sheer blend of beauty and elegance. 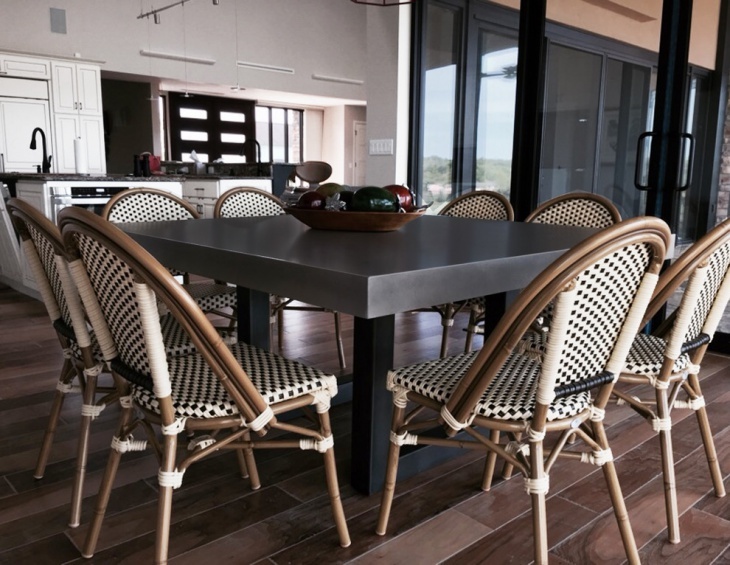 The interior or exterior of the house, as the case may be, has to complement the looks of the table. 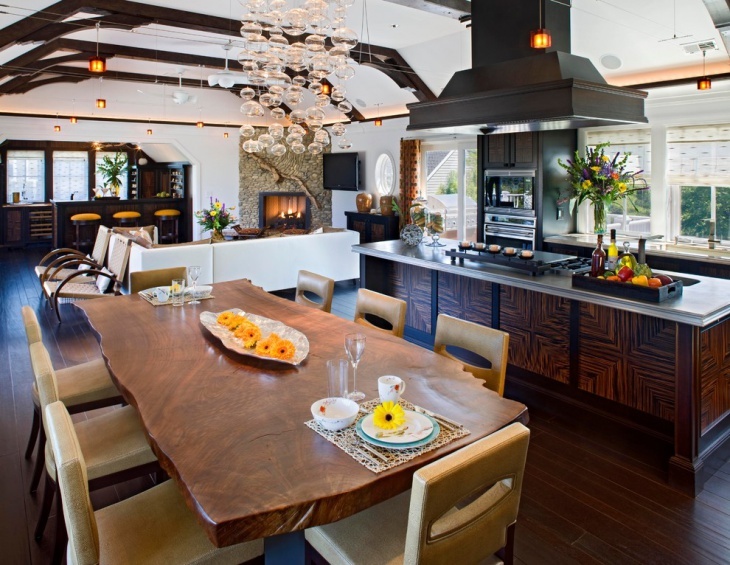 With the right choice of stone dining tables, you can turn your dining space into something classy in appearance. Well, if you have your own ideas, you can share them with us.